Malala Yousafzai and children's right activist Kailash Satyarthi were jointly awarded the 2014 Nobel Peace Prize today. The Nobel Prize board announced that Malala and Kailash were awarded "for their struggle against the suppression of children and young people and for the right of all children to education." Two years and one day ago Malala was shot in the head by Taliban men on her way home from school. The world was shocked that a child who was only 15 had been so callously and cruelly attacked. 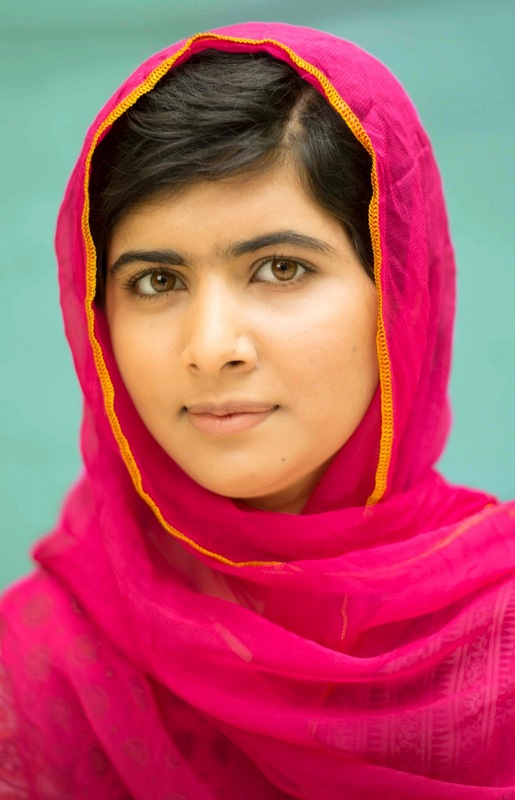 Malala's assassination attempt brought international attention to Malala and her cause. Malala had a long road of healing ahead of her, but she never forgot about her fellow Pakistani classmates who were still fighting to receive an education. Malala and Shiza Shahid created the Malala Fund, an organization dedicated to helping all children receive an education. Malala had every right to be angry after her attack, but instead she said "I don't want revenge on the Taliban. I want education for sons and daughters of the Taliban. Malala, who is only 17, is the youngest ever recipient of a Nobel Prize. Malala has inspired an education movement that brings together people from all across the world. Her work through the Malala Fund is truly making a difference, and she has no plans of slowing down. I for one expect nothing but greatness in Malala's future. Congratulations to both!!! Malala is a great ambassador of women around the world. Being a Pakistani girl reveals Pakistan has a great potential of education and peace; a few people like exotic Taliban are spoiling the image of the region and trying to create unrest. I wish success to both of you in your future. Congratulations to both. Hope them a good health and continue their useful work in the future. you are right, she inspired an education movement and sent message back to the world. Hi, Malala Yousafzai really deserves an award. She might have given so much inspiration for all younger generation when it comes to education. A great work indeed! Wishes to Malala Yousafzai for being one of the recipients of the Nobel Prize.She definitely deserves it for her serving mind!! Malala's speech brought tear to my eyes. These two are really awesome human beings. God give them strength in their mission. Malala is very brave girl in the world. I am always inspiring my daughter to be like Malala. God Bless her.